**Porsche Oklahoma City**, Sunroof, Leather, Heated Seats, Bluetooth, Local Trade. Bob Moore Auto Group has been a family owned company since the 1950's, founded with the guiding principles of hard work, great customer service, honesty and respect. Our mission is to be a people focused company that values our customer relationships above all. We know you have expectations, and as a car dealer we enjoy the challenge of not only meeting them, but exceeding those standards each and every time. Allow us to demonstrate our commitment to excellence by logging in to Bobmooreporsche.com or call us at (877) 740-8005. Priced below KBB Fair Purchase Price! **Porsche Oklahoma City**, ABS brakes, Illuminated entry, Low tire pressure warning. Bob Moore Auto Group has been a family owned company since the 1950's, founded with the guiding principles of hard work, great customer service, honesty and respect. Our mission is to be a people focused company that values our customer relationships above all. We know you have expectations, and as a car dealer we enjoy the challenge of not only meeting them, but exceeding those standards each and every time. Allow us to demonstrate our commitment to excellence by logging in to Bobmooreporsche.com or call us at (877) 740-8005. **Porsche Oklahoma City**, Back up Camera, Local Trade, Black w/Premium Cloth Bucket Seats, Power windows. Bob Moore Auto Group has been a family owned company since the 1950's, founded with the guiding principles of hard work, great customer service, honesty and respect. Our mission is to be a people focused company that values our customer relationships above all. We know you have expectations, and as a car dealer we enjoy the challenge of not only meeting them, but exceeding those standards each and every time. Allow us to demonstrate our commitment to excellence by logging in to Bobmooreporsche.com or call us at (877) 740-8005. 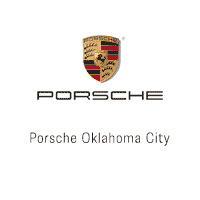 **Porsche Oklahoma City**, 4WD/AWD, Leather, Local Trade, 4WD, Light Cashmere/Dark Cashmere Cloth. Bob Moore Auto Group has been a family owned company since the 1950's, founded with the guiding principles of hard work, great customer service, honesty and respect. Our mission is to be a people focused company that values our customer relationships above all. We know you have expectations, and as a car dealer we enjoy the challenge of not only meeting them, but exceeding those standards each and every time. Allow us to demonstrate our commitment to excellence by logging in to Bobmooreporsche.com or call us at (877) 740-8005. **Porsche Oklahoma City**, Leather, Local Trade, Charcoal/Black w/Leather Seating Surfaces, 18" Vicenza Alloy Wheels, ABS brakes, AM/FM radio: SiriusXM, CD player, Comfort Heated Front Seats, Convertible HardTop, Electronic Stability Control, Front dual zone A/C, Heated door mirrors, Heated front seats, Illuminated entry, Low tire pressure warning, Power moonroof, Power windows, Remote keyless entry, Traction control. Bob Moore Auto Group has been a family owned company since the 1950's, founded with the guiding principles of hard work, great customer service, honesty and respect. Our mission is to be a people focused company that values our customer relationships above all. We know you have expectations, and as a car dealer we enjoy the challenge of not only meeting them, but exceeding those standards each and every time. Allow us to demonstrate our commitment to excellence by logging in to Bobmooreporsche.com or call us at (877) 740-8005. **Porsche Oklahoma City**, Sunroof, Leather, Local Trade, CD player, Power windows. Bob Moore Auto Group has been a family owned company since the 1950's, founded with the guiding principles of hard work, great customer service, honesty and respect. Our mission is to be a people focused company that values our customer relationships above all. We know you have expectations, and as a car dealer we enjoy the challenge of not only meeting them, but exceeding those standards each and every time. Allow us to demonstrate our commitment to excellence by logging in to Bobmooreporsche.com or call us at (877) 740-8005.